Cloudy and occasional snow showers for most of the day. Visibility was limited until late afternoon when the clouds began to break. 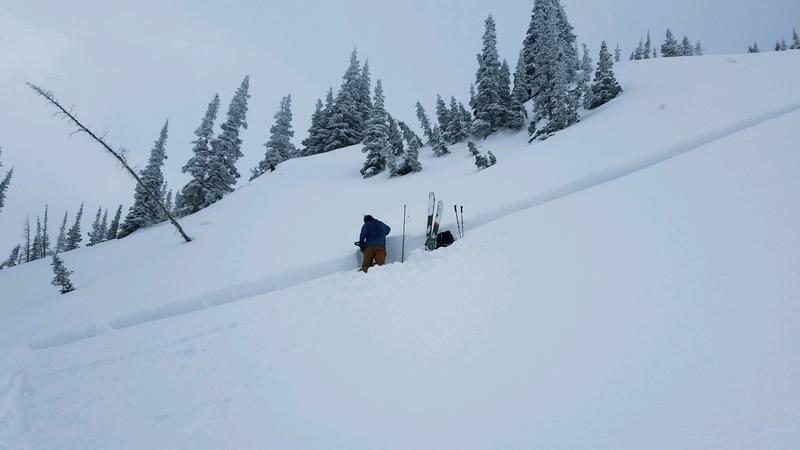 Upside down snow in most areas topped off with a few lighter density inches of snow 18"-30"
Density inversion within the new snow was easy to slide in hand pits but very limited evidence of avalanching in most areas during our travels today. Travel today was from Alta to Days Fork- Cardiff Fork- Mineral fork. Snow totals ranged from 18"-30". Snow was unreactive during our travels. We skied into a number of wind pillows expecting them to fracture but all stayed in place. Long running sluff in steeper terrain. 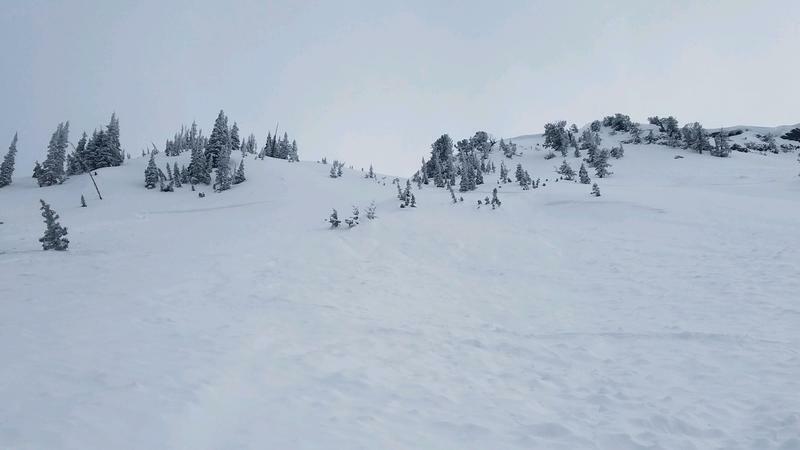 We noticed a recently skier triggered avalanche in Mineral Fork on GB NO and went to have a look. It was about 16" deep propagating 100' down slope, 150' wide, and running about 500' before fanning out on a lower angle slope. Ski tracks in, and ski tracks out. Weak layer was a mix of graupel and rimed precipitation particles 45 cm below the surface.